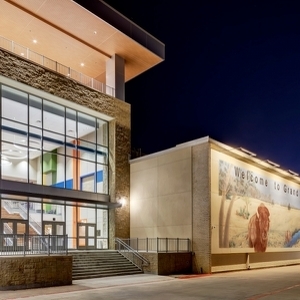 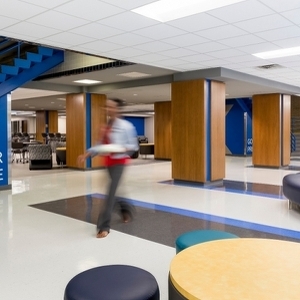 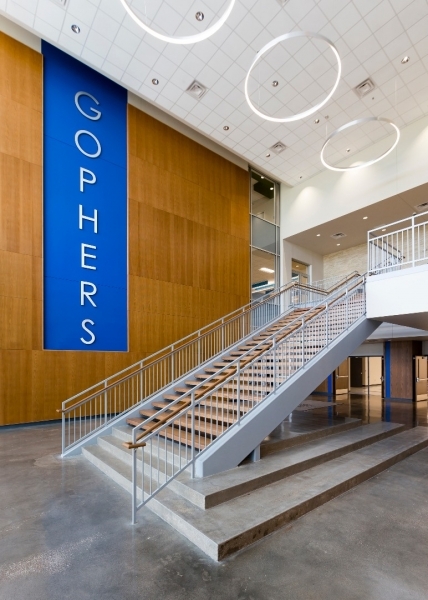 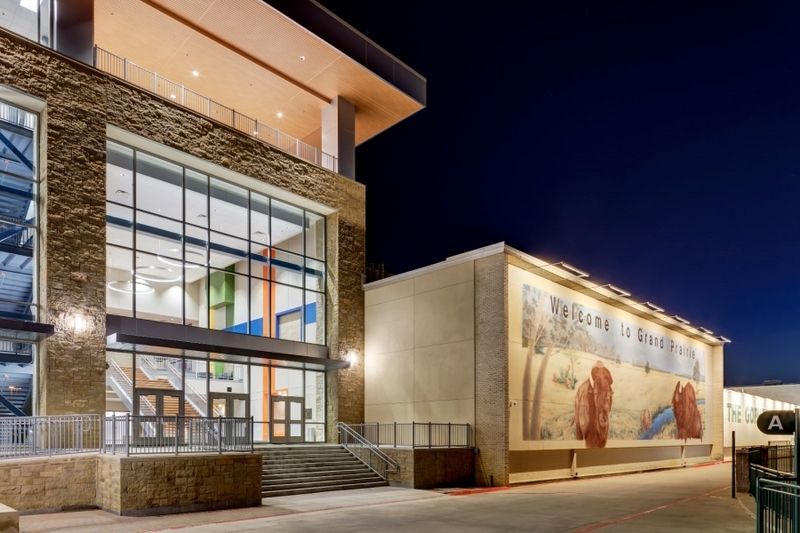 This striking four-story classroom addition to Grand Prairie High School brings a sense of transformation to its identity. 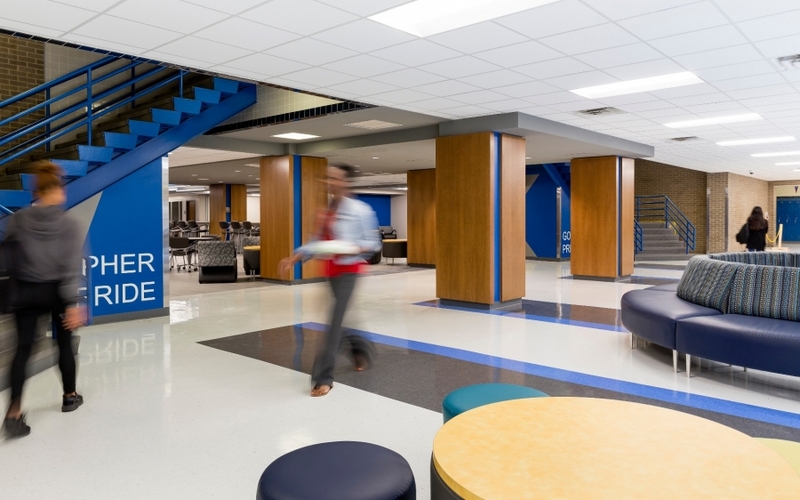 The 72,000 square-foot addition provides an environment for collaboration and innovation to meet the changes in instructional delivery, and allows for increased student capacity with its 46 classrooms. 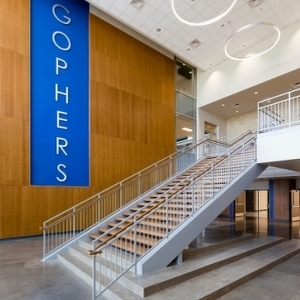 The project included demolition of two existing additions to accommodate the new structure, as well as renovation of existing undersized classrooms into a 21st century student union and media center. 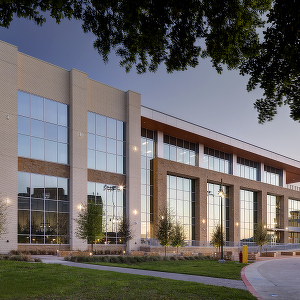 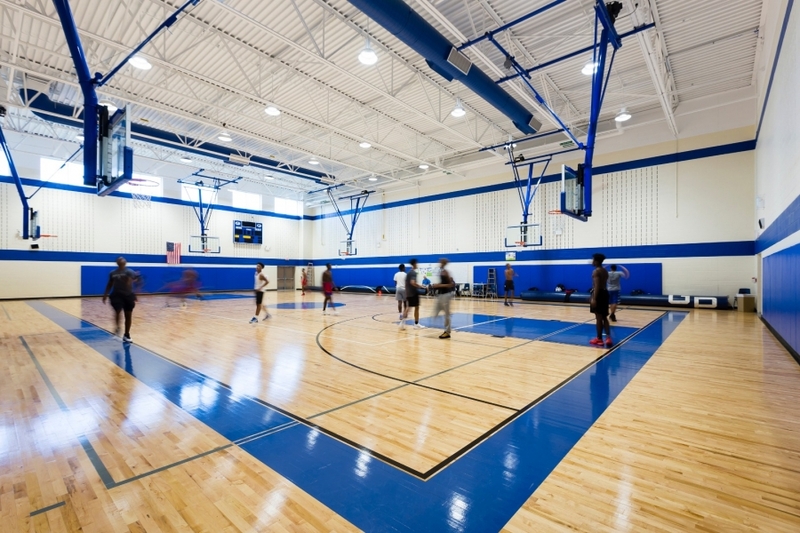 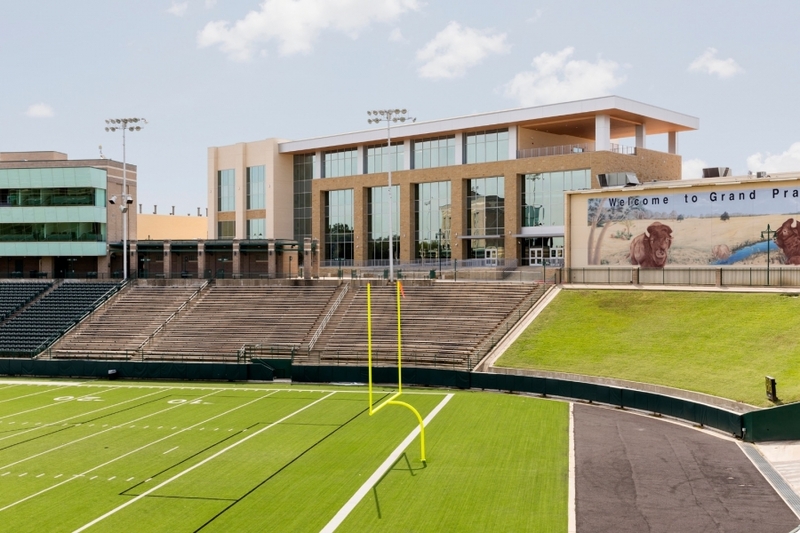 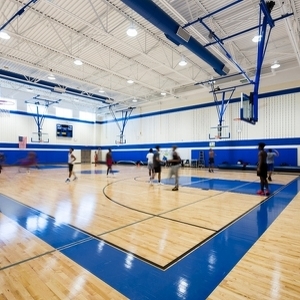 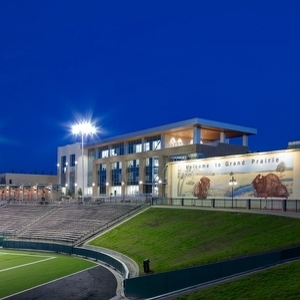 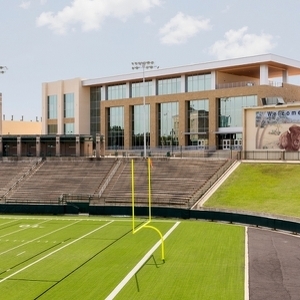 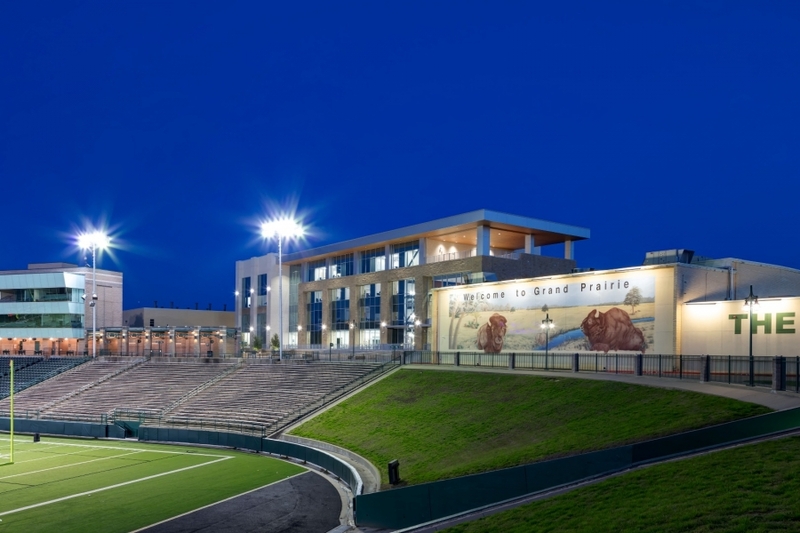 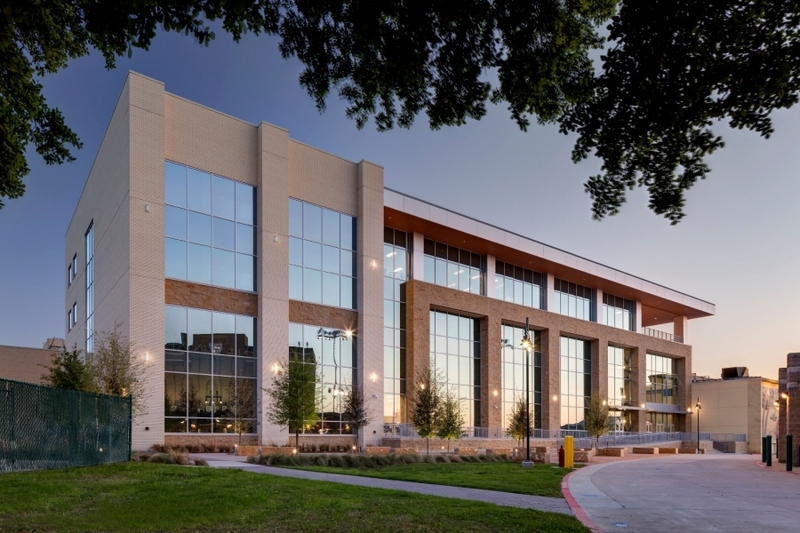 The new facility ties into the adjacent classroom building at the second level and delivers extraordinary views of the athletic facility and the Dallas skyline as it towers over the entire campus.